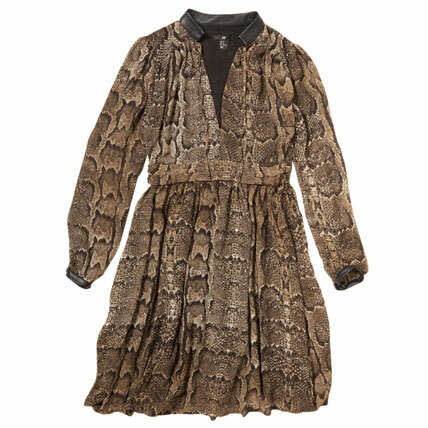 Python and polka dots are huge this season. These prints are extremely versatile. 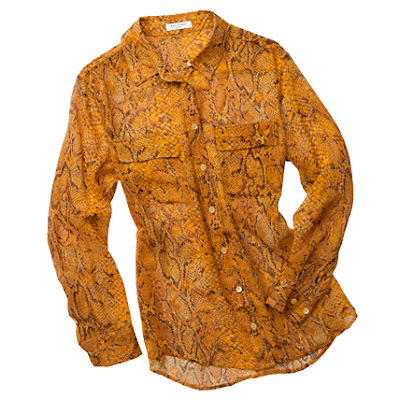 Try pairing a python print blouse with flare jeans and a boyfriend blazer for a casual look. 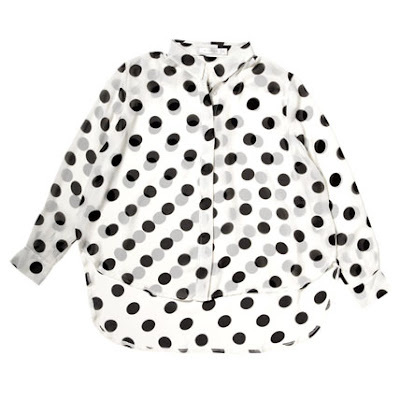 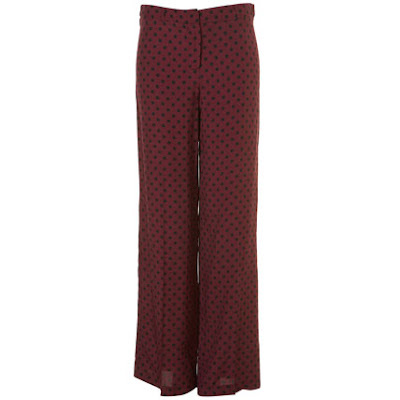 Those polka dot palazzos from Topshop would look great paired with a plain jewel toned button down and some chunky gold chains. Whatever your style there is a place in your wardrobe for these hot patterns. 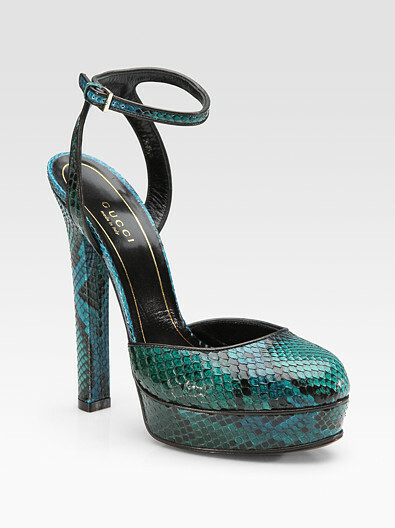 Gucci heels via The Zoe Report. 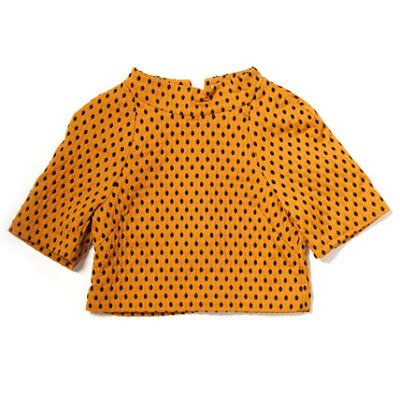 For info on all other items click here.